Today, Mobile Service Providers find themselves struggling to cope with the increasing demand for capacity whilst maintaining a high level of customer experience. Trying to find the most flexible and cost-effective infrastructure to support next generation services whilst also attempting to reduce customer churn by providing adequate customer level Quality of Experience (QoE) & Quality of Service (QoS) can be difficult to achieve. Essentially, Service Providers are caught between a rock and a hard place. To allow for true Mobile Service Assurance there needs to be a more granular level of understanding of customer experience and service. It’s no longer good enough for a Network Operation Center (NOC) to simply monitor the network. The NOC may be fully operational but customers may still be experiencing a degraded service. End Users are not interested in average throughput or latency of the network, what they do care about is download speed, uploading pictures to Instagram, Periscope live streaming or watching the replay of that all-important winning goal from the weekend. Today’s challenge is to provide operators with a granular insight into the user’s experience. To do this there needs to be a change in focus towards service quality as well as the continued monitoring of the underlying network. In my opinion these KPI’s can be primitive in relation to subscriber level QoE. There must be a correlation between user experience, QoS (packet loss, rebuffing etc ) and the physical network itself. Unfortunately, in the real world OSS engineers spend significant amounts of time and effort fine-tuning KPI’s for their deployed infrastructure but it can be worth the effort. Flexible next generation tools are required to help Operators deliver new services across converged networks and to understand the QoE of the end user. These next generation tools will perform the detailed analysis to ensure both service availability and reliability. 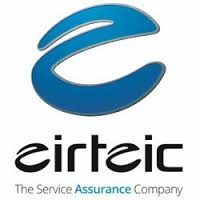 Eirteic work with a number of vendors to provide next generation tools to help overcome these hurdles.